Here at C L Promotions and our sister site Calendar Lady Promotions we believe that corporate branding really helps you to keep your business details and company logo on the tips of everyones tounges. Have your business details and company logo printed on our Promotional Torch and give them away as a promotional or Christmas gift. Then everytime they take that torch out, it will be advertising your business details and your logo. To find out more about our Promotional Torch click here and fill in the contact form and we'll get straight back to you. 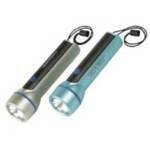 Why not browse through our entire range of Promotional items besides our Promotional torch by clicking here. Click these links to view our Environmentally Friendly Eco Products from our on line shop at our sister site, Calendar Lady Promotions and view our Wind up Torch and Wind up Torches here.